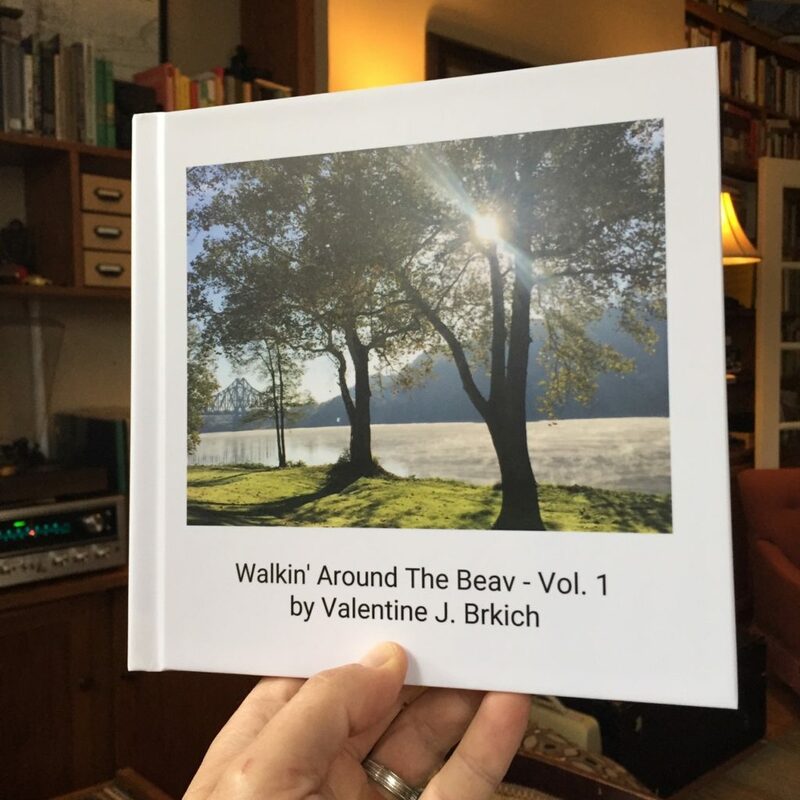 “Walkin’ Around The Beav – Vol. I” is a collection of photos I’ve taken during my many walks around my hometown, Beaver, Pa., a place I affectionately refer to as The Beav. I try to find beauty in the unusual, and I enjoy keeping my eye open for unique photograph opportunities in this lovely, Western Pennsylvania small town. This book makes a wonderful gift for anyone who’s ever lived here or even just passed through. Books are $30 each or three for $75. Email me at Val(at)ValtheWriter.com for orders of 4 or more.